Good day, everybody! 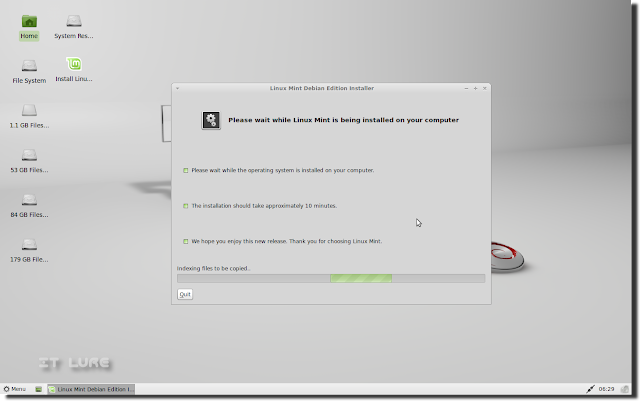 What better way to start my morning other than announcing a new release of Linux Mint Debian! Last time I tried it, there was only a GNOME version available, but now Xfce is here to party as well. If you're already running LMDE, don't bother getting the new ISO, as that's where the beauty of rolling releases stand: you already have the updates included in this image. This is only for those who want to install LMDE for the first time, so they don't have to download and install a trillion updates afterwards. I did a quick install of the XFCE version on my second HDD (getting a separate HDD for hoppin` is the smartest purchase I did in a long time) and everything went as smoothly as possible. Drawbacks: you have to manually edit your partitions (with GParted) and there is no timezone map :(. Pluses (or maybe plusi! ): it detected I was in Romania and selected the appropriate language for my system. While I was surprised in a good way, I politely refused and went with the American English. Sadly, that spoiled the auto timezone selection screen, so I had to navigate the list and find Bucharest. I know that's a lame complaint, but I found little to complain about, so there! The installation took roughly 4 minutes! But you most know it was done from an USB drive. Still, it shouldn't take more than 10 minutes if you're using DVDs. Oh, by the way, the ISOs are ~1 GB in size. Bye, bye, CD! Once installed, LMDE takes only 30 seconds to get to the login screen (verbose mode - no pretty animations), but it takes another whooping 30 seconds to fully load the desktop (HDD stops churning). 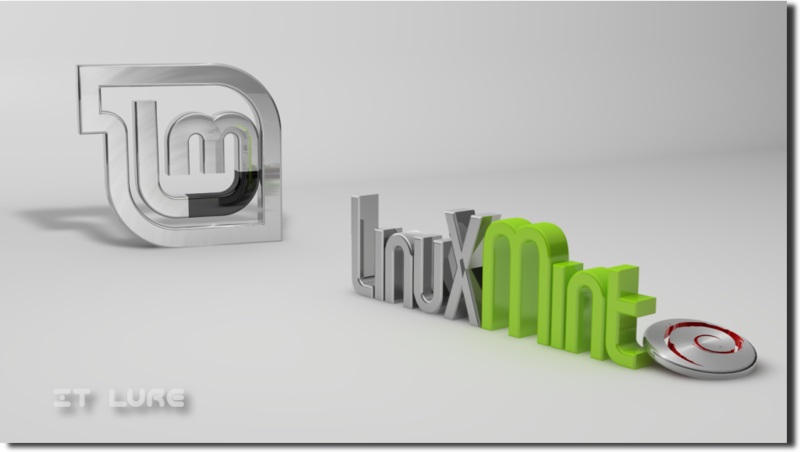 The developers did a great job keeping the Linux Mint experience alive, even in the Debian Edition: codecs, Flash, out-of-the-boxness, many cool apps and great looking themes. But fiiiiiirst! Download links! Get it while it's hot! 32-bit: GNOME, Xfce; 64-bit: GNOME, Xfce. Don't forget to choose the country closest to your location, or even consider torrenting. Since Linux Mint introduced the awesome mintMenu, I remember it suffering from the same glitch demonstrated in the video below. Yes, this is the latest release. Does it happen to you too? If you have any other weird e-happenings captured on camera, I would love to post them here. Leave a link pointing to the "evidence" in the comments or drop me a line (check the bottom of the sidebar for my email address). While Mandriva decided to simplify their offering by keeping only the KDE version alive in the latest release, the Ubuntu family has officialy grown yet again. LXDE - Lightweight X11 Desktop Environment - is here to rescue old computers through Lubuntu. My aging Evo n800c Compaq laptop was craving for some attention and what better way to make its wish come true other than starring it in a Distro Hoppin` episode? So I got the 642 MBs ISO, burnt it to a CD (actually a leftover mini DVD-RW from my camera) and booted right off it! As I didn't want to stress poor old Evo too much, I decided to head straight for the installation, especially since I didn't have anything to lose. I had three options: Install alongside unknown Linux distribution (it was Puppy), Replace unknown Linux distributions and manual partitioning. Hmmm, does the second option mean Ubuntu is now finally able to install itself over existing Linux partitions without the need to manually set it to do so? Well, let me me pop the DVD inside the main machine and see what my options are. BRB! Aaand I'm back! Did you miss me? Do NOT say yes, cause then you will have to kiss me. Sadly, on this machine, the second option was to erase the entire disk. O well. Moving on. The installation didn't take too long, around 15 minutes and not a single error was given, which is quite a feat in my experience. I've rarely had the pleasure to install a pre-release of *buntu without hitting a bunch of roadblocks on the way. I rebooted the machine, removed the DVD and 45 seconds later Lubuntu was fully loaded and ready to go. 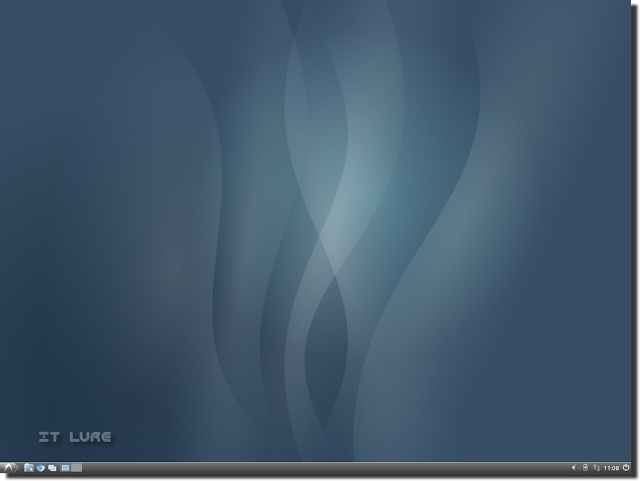 If you're used to Ubuntu's Unity, Lubuntu's look will certainly shock you with its simplicity and minimalistic profile. Only one slim panel at the bottom - and the rest is yours to fill.